Belfast-based PR agency MCE buys Stakeholder Communications, Cognito hires Bell Pottinger Asia MD, Octopus launches Decembeard campaign, and more from PRWeek UK. Belfast-based public relations agency MCE has acquired fellow Northern Ireland firm Stakeholder Communications. Six staff move over to join 18-strong MCE, while Stakeholder MD Tom Kelly will be a consultant to the new business. Stakeholder was subject to an insolvency petition in August over a reported upaid tax bill of £200,000, and was then liquidated in November. MCE's three main practices are public and stakeholder affairs, corporate and consumer. Darrell Wright has been appointed regional MD for Asia Pacific and financial services and tech specialist Cognito. Wright was previously working for Klareco, the rebranded successor firm of Bell Pottinger Asia, having joined the company earlier last year to lead its Malaysia operation. Wright has also worked in-house for JP Morgan, Barclays and Royal Bank of Scotland. Cognito's previous APAC lead Tim Williamson is now at WE-owned WATATAWA. 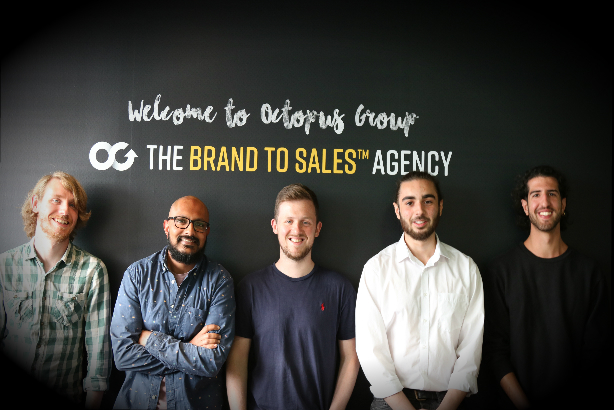 Octopus Group has begun work with the charity Beating Bowel Cancer on its fundraising and awareness campaign Decembeard, in which people are encouraged to sponsor friends or colleagues who grow a beard throughout the month of December. The agency is coordinating a digital marketing campaign across the UK using a combination of paid advertising and organic social. Several staffers at Octopus will be downing their razors for the month, with the company also choosing the charity as its cause of the year. Public-affairs and comms veteran Andrew Cumpsty has joined Social Communications as senior counsel. The former leader of Reading Borough Council, he has held senior in-house roles at McDonald's, Hutchison 3G and Ericsson. PHA Media has been appointed to oversee PR for Quantexa, a big-data start-up that uses networking analytics to help businesses. PHA will work in the UK and overseas for the company, which was founded in 2016 and has raised $3.3m (£2.4m) in funding this year. UK-based travel specialist Authentic Ibiza PR has been launched by Claire Norrish and Pandora George. The firm has been appointed by Ibiza's Atzaro Group, a major hotel group on the island. Both founders continue working with their existing ventures, Claire Norrish PR and Bullet PR respectively.